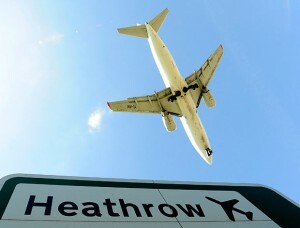 London Heathrow Airport (LHR) is the main airport for London, the capital of England and the United Kingdom. Situated west of the city and covering just under 5 square miles in size, Heathrow is the busiest airport in the United Kingdom and handles more international passengers than any other airport in the world. Apart from being the home hub of British Airways, over 90 airlines fly from Heathrow to over 180 locations across the globe, carrying approx. 70 million passengers each year. When booking a tour from Heathrow Airport, it is important to know which terminal your flights will arrive and depart from. This information should normally be provided by your airline, either on your flight ticket or on their website. If you are unsure, please check with your airline directly. Terminal information is not the same as gate information, gate information will not normally be released until the last moment before a flight. Below are further details on the 5 terminals, with examples of the airlines that mainly service them. However please only take this airline information as a guideline – some airlines use more than one terminal depending on the destination; for example British Airways flies to and from Terminals 1, 3 and 5! It is always best to check your flight’s terminal directly with your carrier. This terminal is home to Heathrow’s domestic flights within the UK and Ireland, as well as a selection of some European and long-haul international flights. Apart from most UK airlines like British Airways, Terminal 1 is served by a list of airlines including Lufthansa, South African Airways, United Airlines and US Airways. Currently undergoing major reconstruction, terminal 2 is expected to come back into operation at some point in 2014 to serve as the home for the group of Star Alliance airlines. By 2015, Terminal 1 is expected to be demolished, creating the necessary space for Terminal 2 to be further expanded as part of its second phase of development. This terminal is mainly for long-haul international flights, although it does also serve some European destinations. Home of Virgin Atlantic, Terminal 3 is also serviced by a long list of international airlines, including Air Canada, American Airlines, British Airways, Emirates, Qantas and Thai Airways. Home to the group of Sky Team Alliance airlines, Terminal 4 is mainly used for European and long-haul international destinations. Following a recent £200 million refurbishment, Terminal 4 is the base for 45 airlines, the major names being Air France, Air India, Delta Airlines, Eithad Airways, Kenya Airways, KLM, Qatar Airways and United Airlines. Heathrow’s newest terminal was officially opened by Her Majesty The Queen in 2008. Built at a cost of £4.3 billion, the state of the art facility is exclusively for British Airways and Iberia, known as the International Airlines Group following their merger. Looking for something to do in between flights at the airport? See more London Tours from Heathrow on our main website. London Airport Information, London Airport Terminals, London Information, London Layover Guide, London tours from airport, Tours from Heathrow Airport guide to Heathrow Airport, Heathrow Airport information, Heathrow Airport terminal information, Heathrow information, terminal information Heathrow, which terminal Heathrow, which terminal Heathrow Airport. permalink.